For most people, family holiday is the best time of the year. Plans are made on detail and many people do use the internet for getting information and book the perfect holiday. If you as a family and leisure hotel, meet all requirements, it is important that rooms are bookable directly on your own website. With transparancy on prices and availibilities you enable the guest an easy and honest booking. As a family and leisure hotel you establish different requirements for an internet booking engine. Most of your guests are families with children and stay longer than one night.  caesar data & software has create a perfect product, which is tailored to your need – caesarfamily. With features such as sliding-scale prices for children and the selection of different board variants, caesarfamily is the perfect choice for your family and leisure hotel. The new version 3.0 of the online booking system plays precisely on this topic. The whole booking form has been redesigned and offers more than ever a modern and simple booking process.Through an intuitive slide show of pictures of the different rooms, the accommodations are shown to the guest right at the first page. caesarfamily is the IBE for your family and leisure hotel. It contains all requirements that you as a hotelier have for an IBE and provides you a huge discharge in your working day by its easy handling of data maintenance. NEW: The manual room request of rooms which are not available is possible anytime. Your hotel is never shown as ‘fully booked’. With the ‘Stay 7 – Pay 6’ programm you can insert up to 10 different programs of free nights.